‘Fire-Induced Progressive Collapse’ – A Term Born To Confuse ? … our attention, in CIB W14’s Research Working Group IV, automatically turned towards the term itself. It didn’t sound right … it didn’t look right … and a lot of people in North America are still completely confused. Was there anything we could do to clarify the situation ? NIST (National Institute of Standards and Technology). September 2005. Federal Building and Fire Safety Investigation of the World Trade Center Disaster: Final Report on the Collapse of the World Trade Center Towers. NIST NCSTAR 1. Gaithersburg, MD, USA. NIST (National Institute of Standards and Technology). August 2008. Federal Building and Fire Safety Investigation of the World Trade Center Disaster: Final Report on the Collapse of World Trade Center Building 7. NIST NCSTAR 1A. Gaithersburg, MD, USA. … into building and fire codes/regulations, standards and administrative provisions at international, regional and national levels … can partly be explained by institutional inertia and the stubborn resistance of vested interests in the construction sector. To be fair, however, although both NIST Reports made extensive reference to the term ‘Fire-Induced Progressive Collapse’ … the structural concept was not defined, or elaborated, in either document. This was not really a task for NIST. Since the publication of the 2005 NIST Report above, there has been much confusion about the term ‘Fire-Induced Progressive Collapse’. ” The term ‘progressive collapse’ has been used to describe the spread of an initial local failure in a manner analogous to a chain reaction that leads to partial or total collapse of a building. The underlying characteristic of progressive collapse is that the final state of failure is disproportionately greater than the failure that initiated the collapse. ASCE Standard 7-05 defines progressive collapse as ‘the spread of an initial local failure from element to element resulting, eventually, in the collapse of an entire structure or a disproportionately large part of it’ (ASCE 2005). The disproportionality refers to the situation in which failure of one member causes a major collapse, with a magnitude disproportionate to the initial event. Thus, ‘progressive collapse’ is an incremental type of failure wherein the total damage is out of proportion to the initial cause. In some countries, the term ‘disproportionate collapse’ is used to describe this type of failure. progressive collapse – the spread of local damage, from an initiating event, from element to element resulting, eventually, in the collapse of an entire structure or a disproportionately large part of it; also known as disproportionate collapse. Colour photograph showing World Trade Center Building No. 7 in ruins after 9-11 in New York City ... when Fire-Induced Progressive Damage led to Disproportionate Damage, and finally to total building failure ... a Collapse Level Event (CLE). Click to enlarge. Fire-Induced Progressive Damage in Buildings is distinguished from Disproportionate Damage – a related but different structural concept – by the mode of damage initiation, not the final condition of building failure. Until this phenomenon is properly understood, and unless it is impeded, or resisted, by building design … Fire-Induced Progressive Damage will result in Disproportionate Damage … and may lead to a Collapse Level Event (CLE), which is entirely unacceptable to the general population of any community or society. So … if unchecked, Fire-Induced Progressive Damage will lead to Disproportionate Damage. BUT … while it may happen … which it did, when WTC Building 7 failed completely at approximately 17.21 hrs (local time) on the afternoon of 11 September 2001 in New York City … it is not necessarily always the case that Fire-Induced Progressive Damage and Disproportionate Damage will lead to Total Collapse. In order to avoid the wide confusion which the term ‘Fire-Induced Progressive Collapse’ is continuing to cause at international level … the preferred term is now Fire-Induced Progressive Damage. 2012-03-02: Please bear with me while I update you at the start of this post … rather than at the end, which would be more usual here … and logical. Could you please send me your submissions in either Microsoft Word or Excel as it it easier to copy and paste into the format that is required , it is proving rather difficult to copy from a PDF document. Claire Darragh, Architecture / Building Standards, DECLG. Please note that this is not an acknowledgement that the FireOx International Submission was received by the Department … and we certainly do not wish that you copy and paste anything relating to its contents anywhere else. IF this is a Proper Public Consultation Process … you must adapt internal DECLG systems to suit the Submissions ! We will be communicating with the Minister’s Office concerning this issue. Once again, I would ask you to properly acknowledge receipt of our Submission, dated 2012-02-14. I have amended our Submission accordingly. C. J. Walsh, FireOx International – Ireland, Italy & Turkey. 2012-02-18: The following is the text of FireOx International’s Submission, dated 14 February 2012, to the Department of the Environment, Community & Local Government (DECLG) in Dublin … concerning the current review of the Irish Building Regulations Part B & TGD B … including, for good measure, some initial and very pertinent comments on the Irish Building Control Regulations. None of these comments will come as any surprise to regular visitors here. It should also be noted that the same comments are just as relevant in the case of the British (England & Wales) Building Regulations, Part B and Approved Document (AD) B ! Ms. Claire Darragh, Architecture & Building Standards Section, DECLG. Thank you for this opportunity to advise the Department on some urgent and necessary improvements to Part B: ‘Fire Safety’ of the 2nd Schedule to the Building Regulations in Ireland … and its supporting Technical Guidance Document (TGD) B. The continuing debacle of the Priory Hall Apartment Complex, in Donaghmede Dublin 13, is just the tip of a very large iceberg in Ireland. Yet, when we now hear that there will be a ‘risk-based’ approach to Septic Tank Inspections, instead of an approach which involves inspecting all septic tanks … independently, competently and thoroughly … it is clear that the Minister, and senior officials in his Department, have failed to learn any lessons from ‘Priory Hall’. What was happening on Irish construction sites during the Celtic Tiger boom years … has been happening for twenty years all over the country … more precisely, since the introduction of legal national building regulations in 1991, with NO effective building control … and, before that again, in those parts of the country outside of the major urban areas having legal building bye-laws AND effective building control, i.e. mandatory inspections by competent local authority personnel at the foundation level and drainage level of ALL projects … and, depending on the type of project, occasional or frequent inspections above ground level. Over the years, local authority officials who carried out building bye-law inspections accumulated a considerable wealth of knowledge and understanding about local construction conditions and practices. This valuable resource, widely used by the construction industry at the time, has now been diluted and discarded. PLEASE LEARN THE LESSONS FROM ‘PRIORY HALL’ !! In connection with ALL Applications for Fire Safety Certificates (Part B) and Disability Access Certificates (Part M) … competent and thorough inspections must, from now on, be carried out by local authority personnel to confirm proper implementation of Part B & M, respectively, of the 2nd Schedule to the Building Regulations. Furthermore … while on site, local authority personnel must not be discouraged, or restricted, from dealing with any other Parts of the 2nd Schedule to the Building Regulations. Under the present dysfunctional system, important horizontal linkages between different Parts of the 2nd Schedule are being widely disregarded and ignored, e.g. between Parts B & D, between Parts B & M, and between Parts B & A … or between Parts M & D, etc., etc ! European Union (EU) Council Directive 89/106/EEC has been repealed … and, instead, we now have EU Regulation No 305/2011 of the European Parliament and of the Council, of 9 March 2011, laying down Harmonised Conditions for the Marketing of Construction Products. Unlike the earlier EU Directive … this Regulation, applicable in all EU Member States, is binding in its entirety. And although Annex I of EU Regulation 305/2011 will enter into force from 1 July 2013 … the Department should now prepare for, and slowly begin the process of, incorporating all of the Annex I Basic Requirements for Construction Works into the 2nd Schedule of the Irish Building Regulations. A building shall be so designed and constructed that the safety of firefighters is adequately considered and, in the event of an outbreak of fire, that there is adequate provision for access for fire appliances and such other facilities as may be required to assist the fire service in the protection of life and property. The provision of wider staircases in buildings in order to facilitate the recovery of an injured/impaired firefighter during the course of firefighting operations. The European Union ratified the United Nations Convention on the Rights of Persons with Disabilities (CRPD) on 23 December 2010. Ireland has not yet ratified the Convention. A building shall be so designed and constructed that the protection of vulnerable building users is adequately considered and, in the event of an outbreak of fire, that there are adequate and accessible means of evacuation from the building to a place of safety remote from the building, capable of being safely and effectively used. Concerning TGD B’s Guidance Text … reference to ISO 21542: ‘Building Construction – Accessibility and Usability of the Built Environment’ will be more than sufficient. NOTE WELL THAT BS 9999 (AND BS 5588:PART EIGHT) IS (ARE) ENTIRELY UNFIT FOR PURPOSE !! Please carefully examine the attached PDF File – My Note for the National Standards Authority of Ireland: ‘BS 9999:2008 & BS 8300:2009 – Impacts on Accessibility Design in Ireland & Implications for ISO Accessibility & Fire Safety Standards’ , dated June 2009. In order to show that a Fire Protection Material/Product/System for Structural Elements properly complies with Part D … it is also necessary, besides showing that it has been adequately fire tested, to show that the material/product/system is durable over a specified, reasonably long life cycle … and that it can adequately resist mechanical damage during construction of the building and, in the event of an outbreak of fire, during the course of that fire incident. You should be aware that Table A1 and Table A2 are only appropriate for use by designers in the case of single, isolated steel structural elements. In steel structural frame systems, no consideration is given in the Tables to adequate fire protection of connections … or limiting the thermal expansion (and other types of distortion) in fire of steel structural elements … in order to reduce the adverse effects of one steel element’s behaviour on the rest of the frame and/or adjoining non-loadbearing fire resisting elements of construction. The sequential growth and intensification of structural distortion and displacement, beyond fire engineering design parameters, and the eventual failure of elements of construction in a building – during a fire and the ‘cooling phase’ afterwards – which, if unchecked, will result in disproportionate damage, and may lead to total building collapse. 2012-01-18: Progressive Collapse of WTC 7 – 2008 NIST Recommendations – Part 1 of 2 … GROUP 1. Increased Structural Integrity – Recommendation A … and GROUP 2. Enhanced Fire Endurance of Structures – Recommendations B, C, D & E (out of 13). Should you wish to receive further information on any of my comments … please consult FireOx International’s Technical Blog at www.cjwalsh.ie … or contact me directly. Please acknowledge receipt of this e-mail communication. 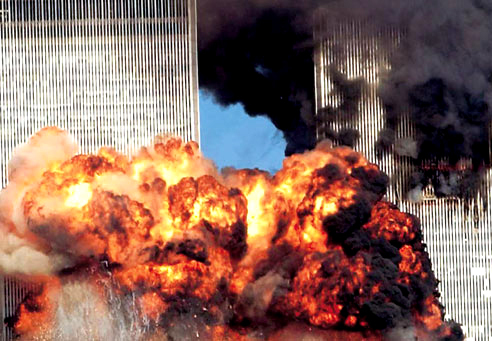 The fires in WTC Building 7 were ignited as a result of the impact of debris from the collapse of WTC Tower 1, which was approximately 110 metres to the south. The debris also caused some structural damage to the south-west perimeter of WTC 7. The fires were ignited on at least 10 floors; however, only the fires on Floors 7 to 9 and 11 to 13 grew and lasted until the time of building collapse. These uncontrolled fires had characteristics similar to those that have occurred previously in tall buildings. Their growth and spread were consistent with ordinary building content fires. Had a water supply for the automatic sprinkler system been available and had the sprinkler system operated as designed, it is likely that the fires in WTC 7 would have been controlled, and the collapse prevented. However, the collapse of WTC 7 highlights the importance of designing fire resisting structures for situations where sprinklers are not present, do not function (e.g. due to disconnected or impaired water supply), or are overwhelmed. There were no serious injuries or fatalities, because the estimated 4,000 occupants of WTC 7 reacted to the airplane impacts on the two WTC Towers and began evacuating before there was significant damage to WTC 7. The occupants were able to use both the elevators and the stairs, which were as yet not damaged, obstructed, or smoke-filled. Evacuation of the building took just over an hour. The potential for injuries to people leaving the building was mitigated by building management personnel holding the occupants in the lobby until they identified an exit path that was safe from the debris falling from WTC Tower 1. The decisions not to continue evaluating the building and not to fight the fires were made hours before the building collapsed, so no emergency responders were in or near the building when the collapse occurred. The design of WTC 7 was generally consistent with the New York City Building Code of 1968 (NYCBC), with which, by policy, it was to comply. The installed thickness of the thermal insulation on the floor beams was below that required for unsprinklered or sprinklered buildings, but it is unlikely that the collapse of WTC 7 could have been prevented even if the thickness had been consistent with building code requirements. The stairwells were narrower than those required by the NYCBC, but, combined with the elevators, were adequate for a timely evacuation on 11 September 2001, since the number of building occupants was only about half that expected during normal business hours. The collapse of WTC 7 could not have been prevented without controlling the fires before most of the combustible building contents were consumed. There were two sources of water (gravity-fed overhead tanks and the city water main) for the standpipe and automatic sprinkler systems serving Floor 21 and above, and some of the early fires on those upper floors might have actually been controlled in this manner. However, consistent with the NYCBC, both the primary and back-up source of water for the sprinkler system in the lower 20 floors of WTC 7 was the city water main. Since the collapses of the WTC Towers had damaged the water main, there was no water available (such as the gravity-fed overhead tanks that supplied water to Floor 21 and above) to control those fires that eventually led to the building collapse. Most regrettably, I must decline your invitation to review Paper XYZ. The ‘critical temperature’ approach to the fire engineering design of steel-framed structures is deeply flawed … and obsolete. The ‘critical temperature’ approach is antiquated … and this nonsense has got to stop ! NOW … would be the best time !! Structural Fire Engineering is concerned with those aspects of fire engineering which relate to structural design for fire, and the complex architectural interaction between a building’s structure and fabric, i.e. non-structure, under conditions of fire and its immediate aftermath. I hope it is becoming clearer now that Structural Fire Engineering is not just ambient structural engineering with a few extra ‘bells and whistles’ grafted on … in token consideration of what could happen in fire conditions, i.e. at high temperatures. This brings me right back to the typical education of Civil/Structural Engineers; because: (i) they exit the educational system with little understanding of anything beyond ‘structure’ … in other words, a ‘real’ building, which also comprises ‘fabric’, i.e. non-structure, is a mystery to them; and (ii) they have difficulty reading architectural drawings … which is why a walk-through inspection of a building, as it is nearing completion, is much preferred over a detailed discussion about drawings at the most appropriate stage, which is well before construction commences … when faults can be readily identified and easily rectified ! In ambient conditions … the architectural interaction between a building’s structure and fabric is difficult, not being entirely static. Before the surface finishes have been applied, it is immediately obvious when this interaction has been properly ‘designed’, and looks neat and tidy … or, on the vast majority of construction sites, when this interaction is a ‘traffic accident’, and the results are desperately ugly … and you know that they can’t apply the surface finishes quickly enough in order to hide everything from view ! In fire conditions … this architectural interaction between building fabric and structure is complex, certainly very dynamic … and fluid ! It would be more appropriate to think of Structural Fire Engineering as ‘Design in the Hot Form’ … which is a completely different mindset. It is essential, therefore, that Fire Engineers understand ‘real’ buildings … most importantly, the ‘design’ of real buildings … and, that they know which end is ‘up’ on a real construction site !! See NIST WTC 7 Recommendation L below. 4. 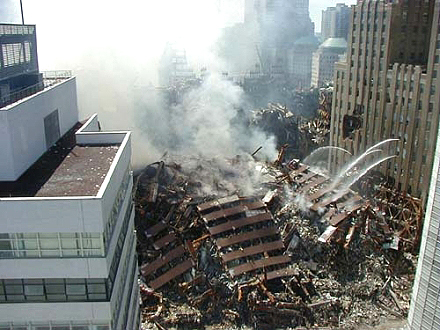 Since the collapse of WTC Building 7 on 11 September 2001, it has been generally assumed that Fire-Induced Progressive Collapse is a large-scale, macro-phenomenon only. But, believe it or not, this phenomenon has also been observed at micro-level in small building types. As organizer of the 1987 Dublin International Fire Conference: ‘Fire, Access & Safety in Residential Buildings’, I requested that the following Paper be presented … ‘Design against Progressive Collapse in Fire’ … by Dr. Willie Crowe, who was Head of Construction Technology, in the old Institute for Industrial Research & Standards (IIRS) in Ireland. He later became Manager of the Irish Agrément Board (IAB). Those were the days … and Willie really knew his stuff ! Mr. Noel C. Manning, of FireBar in Ireland (www.firebar.ie), and I both contributed to the development of his Paper. And now is as good a time as any to give full credit to Noel Manning for his innovative approach to Structural Fire Engineering back in the early 1980’s. He’s a ‘hard man’ … a term that we use for some special people in Ireland ! For approximately 12 years from the mid-1980’s, I was a Member of the National Masonry Panel – the National Standards Authority of Ireland (NSAI) Masonry Standards Advisory Committee. A small, but substantial, text on Fire-Induced Progressive Collapse in Buildings was included, by me, in the following standard … Irish Standard 325: Code of Practice for Use in Masonry – Part 2: Masonry Construction (1995). Appendix A – Determination of Movement in Masonry. A.3 – Thermal Movement. Once again … those were the days … when I was the only architect in a sea of engineers !! Not a pretty experience. 5. What next ? A final draft of the International CIB W14 Research WG IV Reflection Document on Fire-Induced Progressive Collapse will be completed in time for circulation to all CIB W14 members before the end of March 2012 … well in time for the next CIB W14 Meetings in Greece, near the end of April 2012. The procedures and practices used in the fire resisting design of structures should be enhanced by requiring an objective that uncontrolled fires result in burnout without partial or global (total) collapse. Performance-based methods are an alternative to prescriptive design methods. This effort should include the development and evaluation of new fire resisting coating materials and technologies, and evaluation of the fire performance of conventional and high-performance structural materials. NIST WTC 7 Recommendation F (NCSTAR 1 Recommendation 8). NIST recommends that the fire resistance of structures be enhanced by requiring a performance objective that uncontrolled building fires result in burnout without partial or global (total) collapse. Such a provision should recognize that sprinklers could be compromised, non-operational, or non-existent. Current methods for determining the fire resistance of structural assemblies do not explicitly specify a performance objective. The rating resulting from current test methods indicates that the assembly (component or sub-system) continued to support its superimposed load (simulating a maximum load condition) during the test exposure without collapse. Model Building Codes: This Recommendation should be included in the national model building codes as an objective, and adopted as an integral pert of the fire resistance design for structures. The issue of non-operational sprinklers could be addressed using the existing concept of Design Scenario 8 of NFPA 5000, where such compromise is assumed and the result is required to be acceptable to the Authority Having Jurisdiction (AHJ). Affected Standards: ASCE-7, AISC Specifications, ACI 318, and ASCE/SFPE 29. Relevance to WTC 7: Large, uncontrolled fires led to failure of a critical column and consequently the complete collapse of WTC 7. In the region of the collapse initiation (i.e. on the east side of Floor 13), the fire had consumed virtually all of the combustible building contents, yet collapse was not prevented. NIST WTC 7 Recommendation G (NCSTAR 1 Recommendation 9). NIST recommends the development of: (1) performance-based standards and code provisions, as an alternative to current prescriptive design methods, to enable the design and retrofit of structures to resist real building fire conditions, including their ability to achieve the performance objective of burnout without structural or local fire collapse; and (2) the tools, guidelines, and test methods necessary to evaluate the fire performance of the structure as a whole system. Standards development organizations, including the American Institute of Steel Construction, have already begun developing performance-based provisions to consider the effects of fire in structural design. a. Standard methodology, supported by performance criteria, analytical design tools, and practical design guidance; related building standards and codes for fire resistance design and retrofit of structures, working through the consensus process for nationwide adoption; comprehensive design rules and guidelines; methodology for evaluating thermo-structural performance of structures; and computational models and analysis procedures for use in routine design practice. b. Standard methodology for specifying multi-compartment, multi-floor fire scenarios for use in the design and analysis of structures to resist fires, accounting for building-specific conditions such as geometry, compartmentation, fuel load (e.g. building contents and any flammable fuels such as oil and gas), fire spread, and ventilation; and methodology for rating the fire resistance of structural systems and barriers under realistic design-basis fire scenarios. c. Publicly available computational software to predict the effects of fires in buildings – developed, validated, and maintained through a national effort – for use in the design of fire protection systems and the analysis of building response to fires. Improvements should include the fire behaviour and contribution of real combustibles; the performance of openings, including door openings and window breakage, that controls the amount of oxygen available to support the growth and spread of fires and whether the fire is fuel-controlled or ventilation-controlled; the floor-to-floor flame spread; the temperature rise in both insulated and un-insulated structural members and fire barriers; and the structural response of components, sub-systems, and the total building system due to the fire. d. Temperature-dependent thermal and mechanical property data for conventional and innovative construction materials. e. New test methods, together with associated conformance assessment criteria, to support the performance-based methods for fire resistance design and retrofit of structures. The performance objective of burnout without collapse will require the development of standard fire exposures that differ from those currently used. There is a critical gap in knowledge about how structures perform in real fires, particularly concerning: the effects of fire on the entire structural system (including thermal expansion effects at lower temperatures); interaction between the sub-systems, elements, and connections; and scaling of fire test results to full-scale structures (especially for structures with long-span floor systems). Relevance to WTC 7: A performance-based assessment of the effects of fire on WTC 7, had it considered all of the relevant thermal effects (e.g. thermal expansion effects that occur at lower temperatures), would have identified the vulnerability of the building to fire-induced progressive collapse and allowed alternative designs for the structural system. Active fire protection systems (i.e. sprinklers, standpipes/hoses, fire alarms, and smoke management systems) should be enhanced through improvements to the design, performance, reliability, and redundancy of such systems. NIST WTC 7 Recommendation H (NCSTAR 1 Recommendation 12). NIST recommends that the performance, and possibly the redundancy and reliability of active fire protection systems (sprinklers, standpipes/hoses, fire alarms, and smoke management systems), in buildings be enhanced to accommodate the greater risks associated with increasing building height and population, increased use of open spaces, high-risk building activities, fire department response limits, transient fuel loads, and higher threat profile. Reliability is affected by (a) redundancy, such that when one water supply is out of service (usually for maintenance), the other interconnected water supply can continue to protect the building and its occupants; (b) automatic operation of water supply systems (not only for starting fire pumps but also for testing and tank replenishment, with appropriate remote alarms to the fire department and local alarms for notifying emergency personnel); and (c) the use of suitable equipment and techniques to regulate unusual pressure considerations. Relevance to WTC 7: No water was available for the automatic suppression systems on the lower 20 storeys of WTC 7, once water from street-level mains was disrupted. This lack of reliability in the source of the primary and secondary water supplies allowed the growth and spread of fires that ultimately resulted in collapse of the building. Technologies and procedures for emergency response should be improved to enable better access to buildings, response operations, emergency communications, and command and control in large-scale emergencies. NIST WTC 7 Recommendation I (NCSTAR 1 Recommendation 24). NIST recommends the establishment and implementation of codes and protocols for ensuring effective and uninterrupted operation of the command and control system for large-scale building emergencies. a. State, local, and federal jurisdictions should implement the National Incident Management System (NIMS). The jurisdictions should work with the Department of Homeland Security to review, test, evaluate, and implement an effective unified command and control system. NIMS addresses interagency co-ordination and establishes a response matrix – assigning lead agency responsibilities for different types of emergencies, and functions. At a minimum, each supporting agency should assign an individual to provide co-ordination with the lead agency at each incident command post. b. State, local, and federal emergency operations centres (EOC’s) should be located, designed, built, and operated with security and operational integrity as a key consideration. c. Command posts should be established outside the potential collapse footprint of any building which shows evidence of large multi-floor fires or has serious structural damage. A continuous assessment of building stability and safety should be made in such emergencies to guide ongoing operations and enhance emergency responder safety. The information necessary to make these assessments should be made available to those assigned responsibility (see related Recommendations 15 and 23 in NIST NCSTAR 1). d. An effective command system should be established and operating before a large number of emergency responders and apparatus are dispatched and deployed. Through training and drills, emergency responders and ambulances should be required to await dispatch requests from the incident command system and not to self-dispatch in large-scale emergencies. e. Actions should be taken via training and drills to ensure a co-ordinated and effective emergency response at all levels of the incident command chain by requiring all emergency responders that are given an assignment to immediately adopt and execute the assignment objectives. f. Command post information and incident operations data should be managed and broadcast to command and control centres at remote locations so that information is secure and accessible by all personnel needing the information. Methods should be developed and implemented so that any information that is available at an interior information centre is transmitted to an emergency responder vehicle or command post outside the building. Relevance to WTC 7: (1) The New York City Office of Emergency Management (OEM) was located in WTC 7 and was evacuated before key fire ground decisions had to be made. 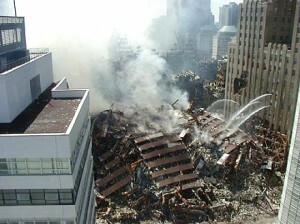 The location of OEM in WTC 7, which collapsed due to ordinary building fires, contributed to the loss of robust interagency command and control on 11 September 2001. (2) Due to the collapse of the WTC Towers and the loss of responders and fire control resources, there was an evolving site leadership during the morning and afternoon. Key decisions (e.g. not to fight the fires in WTC 7 and to turn off power to the Con Edison substation) were reasonable and would not have changed the outcome on 11 September 2001, but were not made promptly. Under different circumstances (e.g. if WTC 7 had collapsed sooner and firefighters were still evaluating the building condition), the outcome could have been very different. The procedures and practices used in the design, construction, maintenance, and operation of buildings should be improved to include encouraging code compliance by non-governmental and quasi-governmental entities, adoption and application of evacuation and sprinkler requirements in codes for existing buildings, and retention and availability of building documents over the life of a building. NIST WTC 7 Recommendation J (NCSTAR 1 Recommendation 27). NIST recommends that building codes incorporate a provision that requires building owners to retain documents, including supporting calculations and test data, related to building design, construction, maintenance, and modifications over the entire life of the building. * Means should be developed for off-site storage and maintenance of the documents. In addition, NIST recommends that relevant information be made available in suitably designed hard copy or electronic formats for use by emergency responders. Such information should be easily accessible by responders during emergencies. Relevance to WTC 7: The efforts required in locating and acquiring drawings, specifications, tenant layouts, and material certifications, and especially shop fabrication drawings, significantly lengthened the investigation into the collapse of WTC 7. NIST WTC 7 Recommendation K (NCSTAR 1 Recommendation 28). NIST recommends that the role of the ‘Design Professional in Responsible Charge’* be clarified to ensure that: (1) all appropriate design professionals (including, e.g. the fire protection engineer) are part of the design team providing the highest standard of care when designing buildings employing innovative or unusual fire safety systems; and (2) all appropriate design professionals (including, e.g. the structural engineer and the fire protection engineer) are part of the design team providing the highest standard of care when designing the structure to resist fires, in buildings that employ innovative or unusual structural and fire safety systems. Relevance to WTC 7: Following typical practice, none of the design professionals in charge of the WTC 7 Project (i.e. architect – structural engineer – fire protection engineer) was assigned the responsibility to explicitly evaluate the fire performance of the structural system. Holistic consideration of thermal and structural factors during the design or review stage could have identified the potential for the failure and might have prevented the collapse of the building. The professional skills of building and fire safety professionals should be upgraded through a national education and training effort for fire protection engineers, structural engineers, and architects. The skills of building regulatory and fire service personnel should also be upgraded to provide sufficient understanding and the necessary skills to conduct the review, inspection, and approval tasks for which they are responsible. NIST WTC 7 Recommendation L (NCSTAR 1 Recommendation 29). NIST recommends that continuing education curricula be developed, and programmes be implemented for: (1) training fire protection engineers and architects in structural engineering principles and design; and (2) training structural engineers, architects, fire protection engineers, and code enforcement officials in modern fire protection principles and technologies, including the fire resisting design of structures; and (3) training building regulatory and fire service personnel to upgrade their understanding and skills to conduct the review, inspection, and approval tasks for which they are responsible. The outcome would further the integration of the disciplines in effective fire-safe design of buildings. Relevance to WTC 7: Discerning the fire-structure interactions that led to the collapse of WTC 7 required research professionals with expertise in both disciplines. Assuring the safety of future buildings will require that participants in the design and review processes possess a combined knowledge of fire science, materials science, heat transfer, and structural engineering, and design. NIST WTC 7 Recommendation M (NCSTAR 1 Recommendation 30). NIST recommends that academic, professional short-course, and web-based training materials in the use of computational fire dynamics and thermo-structural analysis tools be developed and delivered to strengthen the base of available technical capabilities and human resources. Relevance to WTC 7: NIST stretched the state-of-the-art in the computational tools needed to reconstruct a fire-induced progressive collapse. This enabled identification of the critical processes that led to that collapse. Making these expanded tools and derivative, validated, and simplified modelling approaches usable by practitioners could prevent future disasters. Colour plan showing the World Trade Center Complex in New York City, and its surrounding neighbourhood in Manhattan. 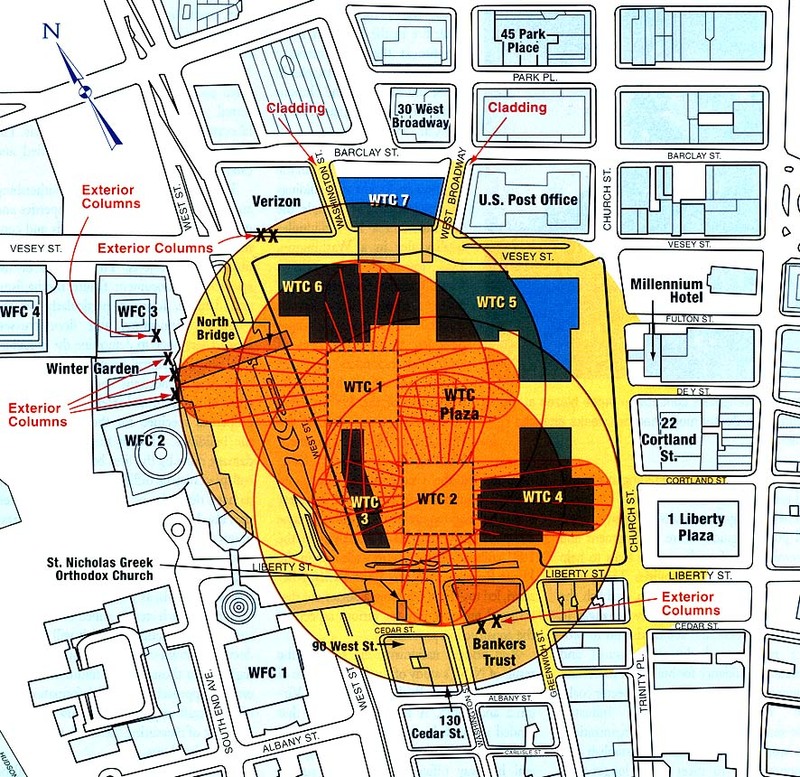 By means of yellow shading and annotation in red text, the extent of direct damage caused by the collapse of the 2 WTC Towers on 11 September 2001 is shown. Not shown is the much greater extent of indirect damage caused, e.g. dust and debris from the collapses clogged up and destroyed air conditioning systems and ductwork in buildings. Everywhere south of Canal Street was a disaster zone. Also not shown is the damage caused by WTC 7, at the north-eastern tip of the Complex, which collapsed late on the afternoon of 9-11. Click to enlarge. 1. World Trade Center Building 7 was a 47 Storey Office Building located at the north -eastern tip of the WTC Complex in Lower Manhattan, New York City. It had been built on top of an existing Consolidated Edison of New York electric power substation, on land owned by the Port Authority of New York and New Jersey. On Tuesday, 11 September 2001 … WTC Building 7 was on fire for almost seven hours … from the time of the collapse of WTC Tower 1 – North Tower, just before 10.30 hrs (local time), until 17.21 hrs … when WTC 7 failed completely, collapsing progressively as a result of ‘real’ fires – as distinct from ‘standard test’ fires – on many floors. There were only two certainties on that fateful day (9-11) … the Fire-Induced Progressive Collapse of WTC Building 7 could no longer be ignored by the International Fire Science and Engineering Community … and the ‘reality’, which Modern Fire Engineering must now confront, was significantly altered. Secondly, it is NEVER acceptable to a general population for buildings to collapse ! 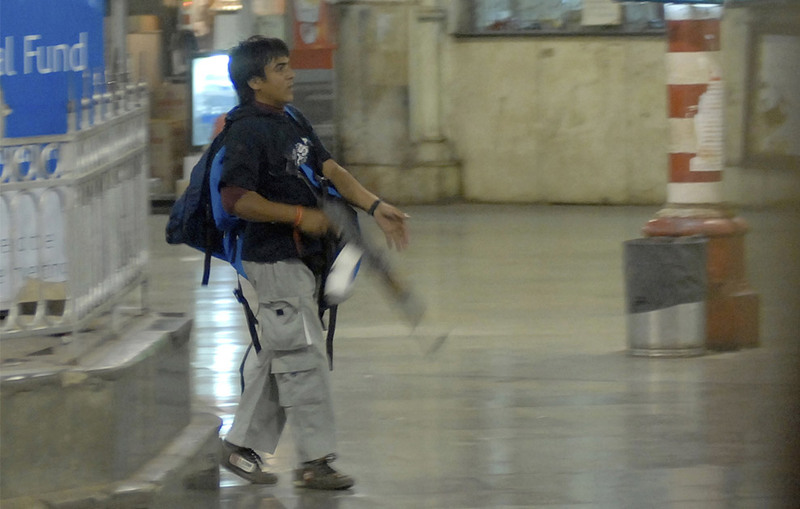 Later in 2008, the Mumbai ‘Hive’ Attacks would add a sinister new ingredient to the standard threat profile for buildings, their occupants, and emergency services. However, long before 9-11 and Mumbai, the growing complexity of modern communities and their rapidly evolving architectural forms had left the Fire Engineer far behind, unable to respond to the new fire safety challenges posed. viii) Education and training … Recommendations L & M.
NIST has clearly stated that “the urgency of these Recommendations is substantially reinforced by their pertinence to the collapse of a tall building that was based on a structural system design that is in widespread use”. 3. The Colour Coding of Texts which I am using in this new series of posts … where NIST has presented new texts relating to WTC Building 7, these are shown in blue … where NIST has chosen to reinforce earlier texts from the 2005 Report on the WTC Towers 1 & 2 Collapses, these are shown in black. The important new paragraphs describing the critical relevance of WTC Building 7 are shown in red. Please pay particular attention to these Red Paragraphs. Having carefully digested their contents … then if, by any chance, you happen to encounter somebody who still insists that the NIST 9-11 WTC Recommendations have no relevance to the design, construction, management and operation of ALL Buildings … that person is either living in Alice’s Wonderland … or he/she has never bothered to read the NIST Recommendations in the first place !! This modification/refinement recognizes the following … that Fire-Induced Progressive Collapse may commence long before any breach occurs in a Fire Compartment Boundary … that, as a result of rampant commercial pressures in our societies, the tendency is for Compartment Volumes to become far too large to be any longer effective … and in the case of a Sustainable Building, for example, where natural patterns of air movement in buildings are used for either heating or cooling purposes, there may be no Compartments at all ! Restricting the application of one or both of these structural concepts, in law, to Multi-Storey Buildings, i.e. in many jurisdictions, those buildings having 5 or more storeys … is a purely arbitrary cut-off point. CIB W14’s Research Working Group IV: ‘Structural Reliability & Fire-Induced Progressive Collapse’ would argue, rationally, that both of these concepts are fundamental to all structural fire engineering design. 5. Structural Fire Engineering is concerned with those aspects of fire engineering which relate to structural design for fire, and the complex architectural interaction between a building’s structure and fabric, i.e. non-structure, under conditions of fire and its immediate aftermath. As Chair of CIB W14’s Research Working Group IV … I will shortly be making a Workshop Presentation in Europe, the aim of which will be to set the scene for the launch of an International CIB W14 Research WG IV Reflection Document; the specific objective of the Presentation, however, will be to accurately describe the phenomenon that is Fire-Induced Progressive Collapse … and to outline a necessary new design approach which will fulfil future requirements, legal and otherwise, concerning adequate resistance to this phenomenon. It will be shown that the new design approach is fully compatible with the Recommendations contained in the 2005 and 2008 NIST Reports on the 9-11 World Trade Center Buildings 1, 2 & 7 Collapses – NCSTAR 1 & NCSTAR 1A. In its final report on the collapse of the World Trade Center Towers (NIST NCSTAR 1), NIST made 30 Recommendations for improving the safety of buildings, occupants, and emergency responders. These encompass increased structural integrity, enhanced fire endurance of structures, new methods for fire resisting design of structures, improved active fire protection, improved building evacuation, improved emergency response, improved procedures and practices, and education and training. WTC 7 was unlike the WTC Towers in many respects. It was a more typical tall building in the design of its structural system. It was not struck by an airplane. The fires in WTC 7 were quite different from those in the Towers. Since WTC 7 was not doused with thousands of litres of jet fuel, large areas of any floor were not ignited simultaneously. Instead, the fires in WTC 7 were similar to those that have occurred previously in several tall buildings where the sprinklers did not function or were not present. These other buildings did not succumb to their fires and collapse, because they were of structural designs that differed from that of WTC 7. The Investigation Team has compiled a list of key factors that enabled ordinary fires to result in an extraordinary outcome. In so doing, the Team recognized that there were additional aspects to be included in the content of some of the earlier 30 Recommendations. Based on the findings of this Investigation, NIST has identified 1 New Recommendation and has reiterated 12 Recommendations from the Investigation of the WTC Towers. The urgency of the Prior Recommendations is substantially reinforced by their pertinence to the collapse of a tall building that is based on a structural system design that is in widespread use. A few of the Prior Recommendations have been modified to reflect the findings of this Investigation. The partial or total collapse of a building due to fires is an infrequent event. This is particularly true for buildings with a reliably operating active fire protection system, such as an automatic fire sprinkler system. A properly designed and operating automatic sprinkler system will contain fires while they are small and, in most instances, prevent them from growing and spreading to threaten structural integrity. The intent of current practice, based on prescriptive standards and codes, is to achieve life safety, not collapse prevention. However, the key premise of NIST’s Recommendations is that buildings should not collapse in infrequent (worst-case) fires that may occur when active fire protection systems are rendered ineffective, e.g. when sprinklers do not exist, are not functional, or are overwhelmed by the fire. Fire scenarios for structural design based on single compartment or single floor fires are not appropriate representations of infrequent fire events. Such events have occurred in several tall buildings resulting in unexpected substantial losses. Instead, historical data suggests that infrequent fires which should be considered in structural design have characteristics that include: ordinary combustibles and combustible load levels, local fire origin on any given floor, no widespread use of accelerants, consecutive fire spread from combustible to combustible, fire-induced window breakage providing ventilation for continued fire spread and accelerated fire growth, concurrent fires on multiple floors, and active fire protection systems rendered ineffective. The fires in WTC 7 had all of these characteristics. NIST believes the Recommendations are realistic, appropriate, and achievable within a reasonable period of time. NIST strongly urges that immediate and serious consideration be given to these Recommendations by the building and fire safety communities in order to achieve appropriate improvements in the way buildings are designed, constructed, maintained, and used – with the goal of making buildings safer in future emergencies. A complete listing of all 13 Recommendations (Recommendations A through L) based on this Investigation follows. Under a few of the Recommendations, the pertinent lesson from the reconstruction of the WTC 7 Collapse is reflected in the form of a modification. For the 12 Reiterated Recommendations, the pertinent codes, standards, and organizations were listed in Table 9-1, and Tables 9-2a through 9-2c of NIST NCSTAR 1 and are not repeated here. For the 1 New Recommendation, B, this information is provided in the text. The standards for estimating the load effects of potential hazards (e.g. progressive collapse, wind) and the design of structural systems to mitigate the effects of those hazards should be improved to enhance structural integrity. NIST WTC 7 Recommendation A (NCSTAR 1 Recommendation 1). NIST recommends that: (1) progressive collapse be prevented in buildings through the development and nationwide adoption of consensus standards and code provisions, along with the tools and guidelines needed for their use in practice; and (2) a standard methodology be developed – supported by analytical design tools and practical design guidance – to reliably predict the potential for complex failures in structural systems subjected to multiple hazards. Relevance to WTC 7: Had WTC 7 been expressly designed for prevention of fire-induced progressive collapse, it would have been sufficiently robust to withstand local failure due to the fires without suffering total collapse. The procedures and practices used to ensure the fire endurance of structures should be enhanced by improving the technical basis for construction classifications and fire resistance ratings, improving the technical basis for standard fire resistance testing methods, use of the ‘structural frame’ approach to fire resistance ratings, and developing in-service performance requirements and conformance criteria for sprayed fire resisting materials. NIST recommends that buildings be explicitly evaluated to ensure the adequate performance of the structural system under worst-case design fires with any active fire protection system rendered ineffective. Of particular concern are the effects of thermal expansion in buildings with one or more of the following features: (1) long-span floor systems* which experience significant thermal expansion and sagging effects; (2) connection designs (especially shear connections) that cannot accommodate thermal effects; (3) floor framing that induces asymmetric thermally-induced (i.e. net lateral) forces on girders; (4) shear studs that could fail due to differential thermal expansion in composite floor systems; and (5) lack of shear studs on girders. Careful consideration should also be given to the possibility of other design features that may adversely affect the performance of the structural system under fire conditions. Thermally resisting window assemblies which limit breakage, reduce air supply, and retard fire growth. Industry should partner with the research community to fill critical gaps in knowledge about how structures perform in real fires, particularly considering: the effects of fire on the entire structural system; the interactions between sub-systems, elements, and connections; and scaling of fire test results to full-scale structures, especially for structures with long-span floor systems. Affected Standards: ASCE 7, ASCE/SFPE 29, AISC Specifications, and ACI 318. Development of performance objectives, design criteria, evaluation methods, design guidance, and computational tools should begin promptly, leading to new standards. Model Building Codes: The new standard should be adopted in model building codes (IBC, NFPA 5000) by mandatory reference to, or incorporation of, the latest edition of the standard. Relevance to WTC 7: The effects of restraint of free thermal expansion on the steel framing systems, especially for the long spans on the east side of WTC 7, were not considered in the structural design and led to the initiation of the building collapse. NIST WTC 7 Recommendation C (NCSTAR 1 Recommendation 4). the extent to which fire control systems, including suppression by automatic or manual means, should be credited as part of the prevention of fire spread. Relevance to WTC 7: The floor systems in WTC 7 failed at lower temperatures because thermal effects within the structural system, especially thermal expansion, were not considered in setting the fire rating requirements in the construction classification, which are determined using the ASTM E 119 or equivalent testing standard. NIST WTC 7 Recommendation D (NCSTAR 1 Recommendation 5). Relevance to WTC 7: The floor systems failed in WTC 7 at shorter fire exposure times than the specified fire rating (two hours) and at lower temperatures because thermal effects within the structural system, especially thermal expansion, were not considered in setting the endpoint criteria when using the ASTM E 110 or equivalent testing standard. The structural breakdowns that led to the initiating event, and the eventual collapse of WTC 7, occurred at temperatures that were hundreds of degrees below the criteria that determine structural fire resistance ratings. NIST WTC 7 Recommendation E (NCSTAR 1 Recommendation 7). NIST recommends the adoption and use of the ‘structural frame’ approach to fire resistance ratings. This approach requires all members that comprise the primary structural frame (such as columns, girders, beams, trusses, and spandrels) be fire protected to the higher fire resistance rating required for the columns. The definition of the primary structural frame should be expanded to include bracing members that are essential to the vertical stability of the primary structural frame under gravity loading (e.g. girders, diagonal bracing, composite floor systems that provide lateral bracing to the girders) whether or not the bracing members carry gravity loads. Some of these bracing members may not have direct connections to the columns, but provide stability to those members directly connected to the columns. This Recommendation modifies the definition of the primary structural frame adopted in the 2007 supplement to the International Building Code (IBC). The IBC considers members of floor or roof construction that are not connected to the columns not to be part of the primary structural frame. This Recommendation ensures consistency in the fire protection provided to all of the structural elements that contribute to overall structural stability. State and local jurisdictions should adopt and enforce this requirement. Relevance to WTC 7: Thermally-induced breakdown of the floor system in WTC 7 was a determining step in causing failure initiation and progressive collapse. Therefore, the floor system should be considered as an integral part of the primary structural frame.